This year was one of the toughest years of my life and much as I want to forget it and move on it is deeply etched in my mind. I am sure this feeling resonates with a lot of you in some way or the other. People around the world have suffered profound loss in their own ways from either losing a job or losing a loved one or losing a home or losing something precious. 2011 showed me how frail, fragile, unpredictable and sometime irreversible life is. I have reached a point where I have no room in my heart for any negativity, ego or spite. I oppose war more than ever. No one knows what tomorrow holds and this is a feeling that we always adhere to when we usher in the New Year. I still remember last year’s New Year’s Eve party when we bade goodbye to 2010 and as always we are all so excited for the New Year. Isn’t “New” always thought of as something better, something bigger, or something greater? But what if it is not? 2011 made me change my perception of “New” as something unknown (which it is) and not necessarily better or bigger or greater but to go with the flow. Well, this year started off with a small fender-bender on the road which was inconsequential really and I was thanking my stars as we drove back home. So I could not believe my ears when I heard that the car had to be totaled. Logic here was that the cost behind the damage was much more than the value of the car but still overnight we lost our car. Again after a few months we missed a near fatal accident by a hair’s breadth when a van jumped the red signal. Thank goodness I was a bit distracted so had a slow start but the incident still sends a chill down my spine. It made me feel how unpredictable life can be. But the biggest blow came on 22nd July when we got the dreaded phone call from India at wee hours of the morning. My friends this call is most dreaded to us Indians in America because we have left our loved ones behind to come to the US to make a better life here. I used to talk about it, worry about it and have seen so many of my friends go through it and it finally happened to me. I lost my father that day, my rock, my mentor. Every one of us who knew him is still trying to come to terms on how life can just slip out of a healthy man within seconds. Life is frail and sometimes the losses we suffer are irreversible. The world too saw some tragic events this year. Natural calamities struck the world like never before. Japan braved a triple disaster with a 9.0 magnitude earthquake and resulting tsunami killing nearly 20,000 people and causing grave destruction to the towns and cities on the Northeastern Honshu coast. The third blow was a major meltdown of a nuclear plant in the area causing months of scare over radioactive contamination. No one knows better than them what it is to suffer from radiation after-effects through generations. 2011 saw many earthquakes all over the world (Turkey, New Zealand). It almost feels like nature is warning us about its fury against man’s negligence. Apart from earthquakes, we saw the most deadliest and destructive tornado outbreak slamming the mid-West and South of US causing 552 confirmed fatalities. At least there were over 1000 tornadoes reported here in the US with six EF5 tornadoes. 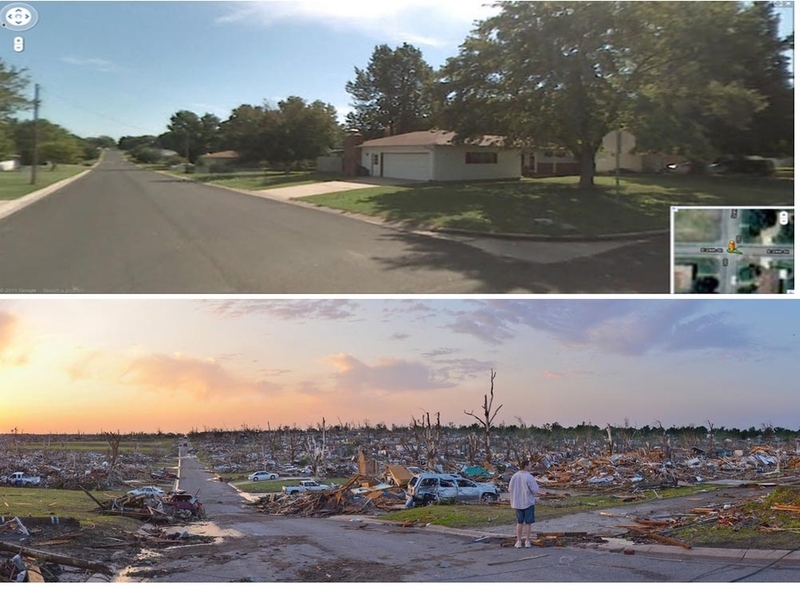 Towns of Smithville, Joplin and Tuscaloosa saw catastrophic destruction. One such devastating tornado had a wind speed of 205 miles per hour and stretched three miles causing complete devastation. Then we all know and have experienced in some ways the repercussions of the economic quagmire in Europe and US resulting in the highest unemployment rate. So many people have suffered financial and emotional havoc because of this while the politicians and rich business tycoons controlling the banks keep striking deals to safeguard their interests. The world also lost some talented people this year and of course topping this list is Steve Jobs, a visionary and a creative genius. But best part of life is while on one hand it may take something precious from you it also teaches you to be thankful for what we still have or what we may have averted when we lose something or someone. I am thankful that my father did not suffer. He was a self-made mad, proud and always ready and willing to help others and he never would have liked to depend on anyone or cause inconvenience. The world too saw some good this year. Finally the likes of Osama Bin Laden and Muammar Gaddafi were taken out. The Middle East uprising resulted in positive change of regimes in Tunisia and Egypt. The Iraq war that started in 2003 finally ended (Price of War: more than 4,400 US troops sacrificed & $700 billion in expense and who knows how many civilians). And, I finally learnt to bake and achieved one of my dreams. As I eagerly bid goodbye (just a few hours left) to this year I will continue to keep my hopes alive for a better tomorrow for a brand New Year and pray for a lot of peace, happiness and courage for those who have lost someone or something precious this year. I love you dad. You are currently browsing the Kaffeinerush's Blog blog archives for December, 2011.